How well do you know West Seattle’s own Tom’s Automotive Services? Let’s play “the feud” and find out! We started the year off with a bang and played a game with my weekly networking group. I put together a short round of the Family Feud game (minus the families). It was really fun! Note the hooting, hollering, and laughs in the video? Here is a little overview of our awesome game filled with tons of fun facts about our shop, our stellar team and a little bit about me too. As of 2019, Tom’s Automotive has been around for 48 years… no easy feat in the world of local business ownership today. I’ve been here for 28 years as of New Year’s Day 2019. I started as a receptionist when I was just 18 years old, and guess what? I loved the shop so much that I purchased it from Tom in 2010. I never thought that would happen. 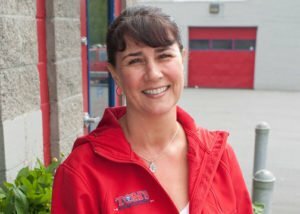 Prior to working at Tom’s, I was going to school to become a surgical nurse. It’s kind of ironic—I wanted to help with surgery on people, and now I help with surgery on cars. I chuckle when I think about it that way. You sure never know where life will take you! The team here at Tom’s is full of wonderful people. From the front-end office staff to our technicians, every single one of our staff is a delight and wonderful at what they do. We all work really well together, which helps us to better serve our customers and take really good care of the vehicles in the shop. We believe in ensuring our technicians are up to speed on schooling and training too. Because of this, our technicians get 72 hours of training each year that Tom’s fully funds and supports. Here’s another fun fact—the combined experience from all of our staff totals a whopping 132 years. 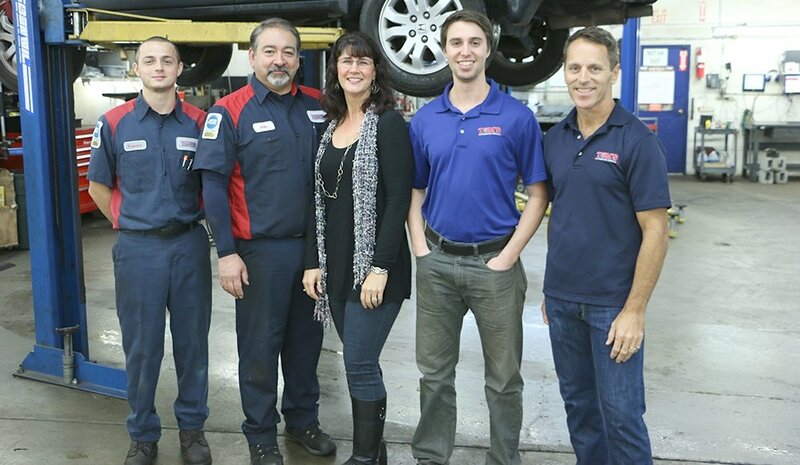 This means your cars are in good, experienced, educated hands when they’re in our shop. We love giving back to our community. One way you can participate with us, and receive a discount on services, is to provide donations for the food bank. We donate to the food bank year round and love to create an incentive for others to do the same as well. “Tom’ Automotive” is the name of the West Seattle Pee-Wee baseball and girls softball teams we sponsor every year. It’s so fun to support and watch the kiddos have a great time playing baseball together on the field. Some other facts about Tom’s that are important, but maybe not quite as fun, include our warranty for the work we do. Some of the services we do are oil changes, brakes, fluids, electrical, diagnostics, maintenance, transmissions, clutches, steering & suspension, engine repair or maintenance, air conditioning and heating and more. And when we do this work, you have not only our word on the quality of the work but also our warranty for the service too. After you have work done at Tom’s, we warranty it for 2 years or 24,000 miles—whichever comes first. This provides peace of mind for our customers that their services are quality and the work can be trusted. We’re excited to continue to help and support our customers and community in 2019. Stop by to say hi or schedule your next service. And remember, your pups are always welcome to stop by with you!